As we’ve pointed out in an older post, starches are polymeric carbohydrates made of a large number of glucose units. Basically they can be found in cereals like wheat, root vegetables like potatoes and cassava, in beans, lentils, corn, rice, to name the most common staple foods. To get a starch out of an ordinary flour, it takes several steps: first grains have to become soft, so they are soaked in different liquids, then they are grinded, soaked once again and put in a centrifuge to separate the different parts like gluten for example. Some companies like Giuliani in Italy use specific enzymes or lactobacillus to facilitate the process. At Baci di Dama, we have decided to talk about it once again because of the raising popularity of one ingredient in particular in the gluten free industry: the deglutinated wheat starch. In Italy it’s become very popular because it helps the raising process and making bread or pizza, for example, it becomes much easier than using “natural” gluten free flours or starches. Italian brands like Revolution Foods and lately also the famous Caputo gluten free pizza mix have adopted it. 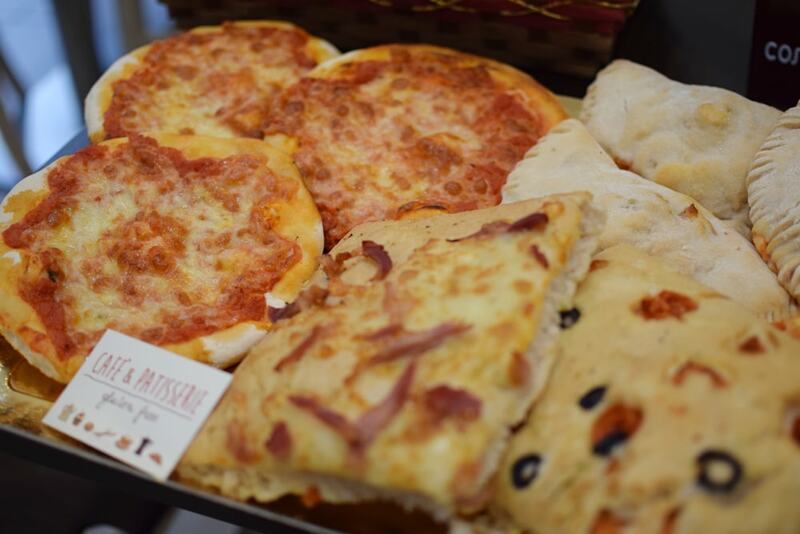 In Paris this pizza mix is used by Big Love Café and Gemini restaurants. Do we need to get so far? Do we need to add a starch that has already gone through so many transformations and then, to deglutinate it, it is transformed one more time…! Also, wheat is an allergen, with or without gluten. It might be gluten free labelled but there are people out there that can’t tolerate wheat. Full stop. Why can’t we simply use “natural” gluten free ingredients instead of turning our heads to this ingredient that is so processed and in the end it always comes from wheat??!! We all know that the least a product is processed, the best it is for our health. At Baci di Dama, we would love to encourage everybody to use “natural” gluten free and wheat free ingredients: it may be harder to get the result that we want, but yes, we can get to it and once we do, what a satisfaction it can be!